Formula One returns this weekend, and with it comes the Sidepodcast weekend logbook. We debuted this concept oh-so-briefly at the end of last season, and really enjoyed how it turned out. Essentially, we'll be tracking all the info you need to know over a race weekend, via a handy rolling Factbyte Factbox. Important quotes, not-to-be-missed links, tweets, pictures and more, keep one eye on the logbook to make sure you don't miss a thing. Both Formula One and the Factbyte Factbox are swinging back into action this weekend, with the first race of the brand new season - the Australian Grand Prix. To celebrate the return of our beloved motorsport, we'll be tracking all the crucial information, quotes, links and tweets you'll need to know right here on this page. So bookmark it and come back often to make sure you miss nothing from Albert Park. Also feel free to share what you've spotted around the world wide web as those drivers share photos, the teams start uploading videos, and the internet generally goes wild for the return of F1. First and foremost, we've gathered together all the facts and figures about this weekend's action in the race information post. Dates and times, circuit info and tyre data, that should kick things off nicely. Lots of photos of track walks have been filtering through from today, including this shot of Tom McCullough at Force India. He was rumoured to be following Hülkenberg there but I hadn't realised it was official. There he is, in the new outfit though, and thus I have updated his encyclopedia entry too. Tweet from @Ericsson_Marcus: Trackwalk done. It looks really nice and challenging. Good mix between street/normal track. Can't wait to drive!! Mobil 1 and McLaren have announced a special one-off livery for this weekend's running. 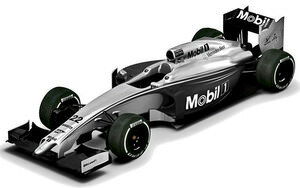 Celebrating 20 years of collaboration, the paint scheme features darkened sidepods and prominent Mobil 1 branding. McLaren has thus far failed to announce a replacement for title sponsors Vodafone who opted to move on at the end of last season. The updated design arguably makes the MP4-29 the best looking car on grid. Plenty of promotional duties for driver's today in Melbourne. Hamilton and Rosberg provided the early interviews for assembled journalists at St Kilda Beach, while Massa and Bottas lined up for a photo shoot. Fans are welcomed into the circuit today and autograph sessions are currently underway. Having got close to this year's cars for the first time, @amyfulton noted "I like the Williams livery more in person and the Caterham green is nicer than last year", before snapping this fine picture of a lonely looking Romain Grosjean. The drivers have all been tasked with sprucing up and looking their best for the official portrait photographs. From the looks of this excellent panorama, it's a pretty daunting proposition! Tweet from @Jameallenonf1: "Sounds like the FP3 session in Melbourne could see little running for teams worried about reliability. They will save selves for qualifying." Here's what an official portrait looks like from a more traditional perspective, Rosberg down the barrel of a lens. Marcus Ericsson experienced his first taste of the demands of F1 media today. "Super busy day at the track. Photo sessions, interviews, autograph sessions, meetings and preparations all day. It's been busy. But I love every second of it! Now off to bed "
Thursday means it's time for the driver's press conference and while the six attendees remained as guarded as ever they were asked to make some predictions. Ricciardo, Massa and Vettel all named Mercedes as favourite for the championship, Hamilton said Williams were, while Magnussen and Alonso excused themselves entirely. Questioned on how many cars would finish the race, most were optimistic reliability wouldn't be a major factor, with Magnussen suggesting the whole field would finish. Ricciardo wasn't convinced adding "No one. We’re all going to be running across the line!" The marvellous Matt has been prowling the pit lane in search of chassis close ups. 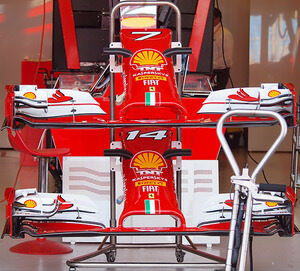 I still reckon the Ferrari noses are the worst but the argument rages on! Pass the time ahead of the first practice session with some fresh reading material from Lukeh. He has written about a few of the the mouth watering team line-ups taking to the grid this year. A couple of 60 second news round-ups for today - McLaren's new livery and Dickie Stanford stepping down. If you're watching any of the Free Practice sessions, you'll need to visit the live event thread for commenting fun! Head there now to share your views. Two practice sessions are complete, then, and what have we learned? Pretty much what we might have expected - Mercedes good, Renault bad, but there were a few surprises along the way. In first practice, Hamilton stopped early on and didn't return to the session, Max Chilton failed to find his pit box, and the Toro Rosso pair couldn't keep tabs on the track. See the full results here. The second ninety minute session saw Hamilton back in action, and actually going fastest. Meanwhile, the Caterham duo failed to get any running completed on Friday, and two drivers ended up in the gravel. FP2 results available here. - We have lots of work to do tomorrow. Tweet from @Ericsson_Marcus: Electrical problem in FP1 and hydraulic leak in FP2 meant only 2 L completed today. Frustrating. But we will bounce back tomorrow!! Tweet from @LewisHamilton: Great Practice today. I feel comfortable in the car and we've got a really good foundation for the weekend now! Paul Hembery, Pirelli motorsport director: "From what we can see so far, we were satisfied with both the performance and degradation of the medium and soft compounds, both of which are completely new this year. The degradation on the medium tyre is very low, with degradation on the soft slightly higher. We’ve seen no blistering or graining at all today and also fewer marbles, so up to now we have met our objectives." More for your listening pleasure, a new appointment at Lotus, and a bad start for Caterham. Tweet from @alanbaldwinf1: JB's reply after practice when asked whether it would be a good year for the fans: "I think so, as long as you don't care about the noise. In the grandstands I can imagine the sound isn't all that. But the racing will be good. I really do think so." Designated team personnel took part in their traditional Friday press conference. McLaren, Ferrari, Red Bull, Williams and were represented, with Rob White substituting Rémi Taffin for Renault Sport. Éric Boullier offered more insight into his new position, "The idea behind the split in the team principal role is something which I actually had personal experience in Lotus. I think it’s good today when you have so much travel during the season and so many people to care about at the factory. 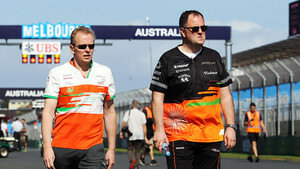 It worked well in the past and it should work well in McLaren." While Claire Williams was pleased with Williams' altogether more decisive start to this season, "Today’s been positive. I think the engineers are all relatively happy with what they’ve managed to achieve. Valtteri seems comfortable with the car, little bit of understeer that we’ve got to correct overnight but both drivers are saying that they’re happy." Your handy qualifying thread for commenting the upcoming grid-deciding session. There'll also be a dedicated Factbyte Factbox for live coverage starting shortly. Relive all of the drama from today's qualifying session with the Factbyte Factbox live text highlights. Including team radio, gap analysis, driver reaction and pictures from the track. 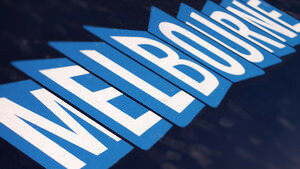 Who qualified where and which driver opened their pole trophy account in Melbourne? Our qualifying results data has all the answers. Look out for an additional post showing how the grid will line up Sunday, penalties and all, shortly. Short on time? 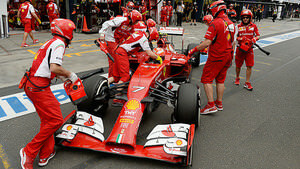 Tune in to F1Minute's sixty second qualifying round up, for a whistle-stop tour of on track happenings. Ted Kravitz on Red Bull's innovative nose camera, "Charlie Whiting says it's legal but as it can't be rear facing, he will 'probably have to look at it' again." "Congratulations @LewisHamilton So proud of u 4 taking pole position! First race of the season! @f1 #AustralianGP Race ur heart out babe! xo"
Red Bull were quick to excuse Vettel's performance on Saturday afternoon. "His engine software meant he was down on power with extremely poor drivability and we need to understand that, as it compromised his qualifying," said Christian Horner. The team will no doubt take heart that when working properly the car has decent pace, at least in changeable conditions. Vettel and Ricciardo partook in a bit of pre-season banter for UK media, asking each other probing questions on subject of being teammates this year, enjoy the video. Pat Symonds and Susie Wolff filmed a fun video explaining many of the regulation changes fans have to get their heads around this year. We need more of the Pat and Susie show in our lives. Kimi crashed into the wall during qualifying, finishing the session in 12th place. The Finn says he wouldn't have made it through to Q3 anyway, however, as he'd had traffic on his flying lap and was on an in-lap. "I didn't have any more time to do an extra lap, so on that lap I would have come in anyway. I was playing around with the switches or something, and I got a little bit of wheelspin and touched the wall. But the car is more or less OK. It was just my mistake. I got a little bit of wheelspin, I wasn't pushing anymore, but I couldn't catch it." Pastor Maldonado has been given permission to start the race by the FIA, as the Lotus driver didn't set a time during the first session of qualifying. The official word is as follows. a) Having set satisfactory times in practice. b) That such a grant is not precedent for further races. As well as mixing things up, rain allows for some great photographs to emerge from the track. Here's one of them, a forward looking Williams pair. So here is how the field will line up on Sunday after Bottas and Gutiérrez take five place grid penalties. 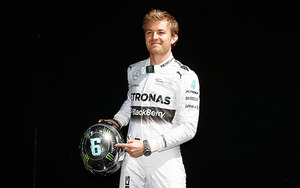 Nico Rosberg wins the first race of F1's new era with a dominant performance in the Mercedes. Red Bull make it to the finish and Magnussen makes his podium debut. In total 14 finishers were classified, Rosberg leads the driver's standings while McLaren head up the constructor's table after race one. You can relive every single lap of the Australian Grand Prix with Sidepodcast's live text commentary. Including team and driver radio transcripts, gap analysis, pitstop timings, plus all the racing action and more. Can the drama and excitement of today's race be summarised into just 60 short seconds? Only one way to find out. Stewards have concluded no further action is required in the incident between Kamui Kobayashi and Felipe Massa at turn one. After reviewing all evidence, the Stewards determined that the incident was caused by a serious technical failure completely outside the control of the driver. Bad news for Daniel Ricciardo and Red Bull who have been excluded from the results of the Australian GP due to fuel-flow irregularities. The team were warned during the race to make adjustments to ensure compliance, but opted not to follow that advice. A costly decision. The Stewards find that Car 3 was out of compliance with the Technical Regulations and is therefore excluded from the results of the race. A little more detail on that decision to throw out Red Bull's only finisher. Revised championship standings for drivers and constructors, updated to reflect Daniel's penalty. Results are provisional pending the outcome of Red Bull's appeal. It ain't over till it's over, but soon it really will be history. Tear down work at the circuit this morning. One day on and Bottas is still rueing his mid-race faux pas, "Good for us to start the season with more points than the whole last year. Team has done amazing job to get back up there! But pity about the one mistake, sure will learn from it. Anyway P5 is good start, but there is more to come ;) Cant wait for Malaysian GP!" Nico Rosberg shares his post-race video, and he's got quite the smile on him. "My car is so fast, it's really a pleasure to drive this car." A handy brief overview of the Red Bull disqualification and appeal. Cast your vote on the stewards performance, the new engine sounds, driver of the day, and the Australian Grand Prix overall - it's the return of Rate the race! With all the results posted, news updated and ratings pouring in, it's about time to wrap up the weekend logbook for Australia. It's been an endlessly fascinating weekend, and there's still plenty to ponder and analyse before the next race in Malaysia. We'll be back on 26th May to start the build-up to the second round of what is shaping up to be a fantastic Formula One season.